“Can this be true? Is this for real?” you may be thinking to yourself. Well I can answer those questions with a resounding YES…. Yes you are getting another dose of Mr. RC on the blog today! As my better half made reference to earlier this year, there are a few new series coming to Runway Chef and today marks the beginning of one of those new series. Welcome to, Mr. RC’s Bar Cart, a new monthly series on Runway Chef that will focus on creating a simple cocktail that anyone can make for any occasion. Outside of the monthly recipe you can find on Runway Chef, be sure to follow my Instagram feed or the hashtag #MrRCsBarCart, and my Snapchat (MrRunwayChef) for other beverage concoctions and recipes. 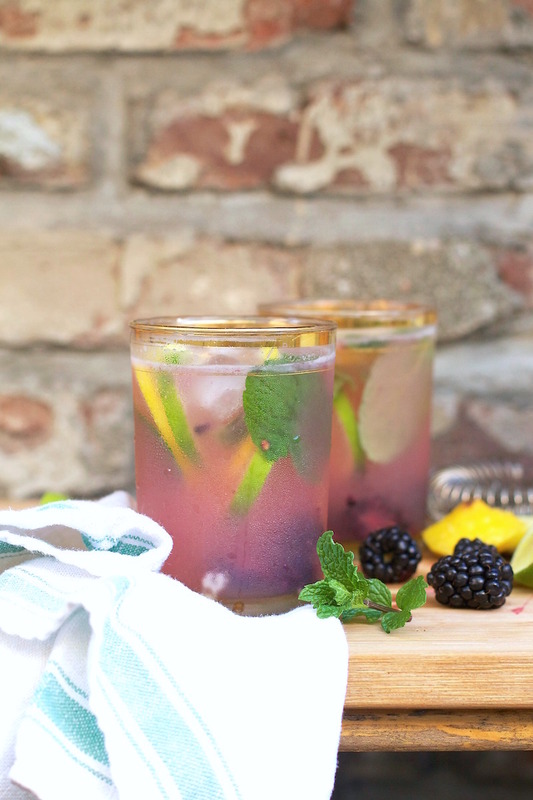 Seeing as we are now well into the month of May, and warmer temperatures are finally here (sorry Colorado), what better way to cool you down than with my Blackberry-Mint Gimlet, a refreshing sweet and tart gin-based cocktail. Gin is one of my personal favorites to have on hand once it gets warm out, and you may ask, “What makes gin such a refreshing base for a summertime cocktails?” The answer is that gin derives from the juniper berry. Juniper berries grow on a juniper tree (who would have thought, right?! ;) ), which is a member of the pine family, hence the pine fragrance and the wintergreen flavor of the liquor. 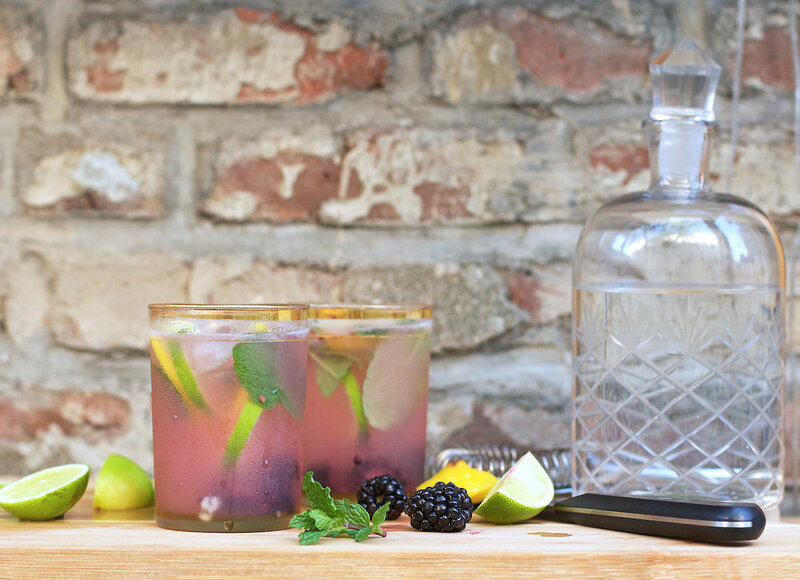 Some pairings that work well with gin are fresh mint, citrus (lemons, limes or grapefruit), fresh berries and honey. Do you have a favorite gin cocktail you like to make or would like to see on here? Leave a comment below and it may be a future feature. Cheers! Trivia Fact: Gin started in Europe back in the Middle Ages, and the word gin is derived from genièvre (French), jenever (Dutch) and ginepro (Italian), the definition of all three being “juniper".